It seems like Volkswagen is making a drastic shift by turning itself into more of a mobility company because the latest acquisition says it all. This time, VW is buying PayByPhone, a Canadian company that has been founded with an aim of helping people park their cars via smartphone apps, calls and text messages. 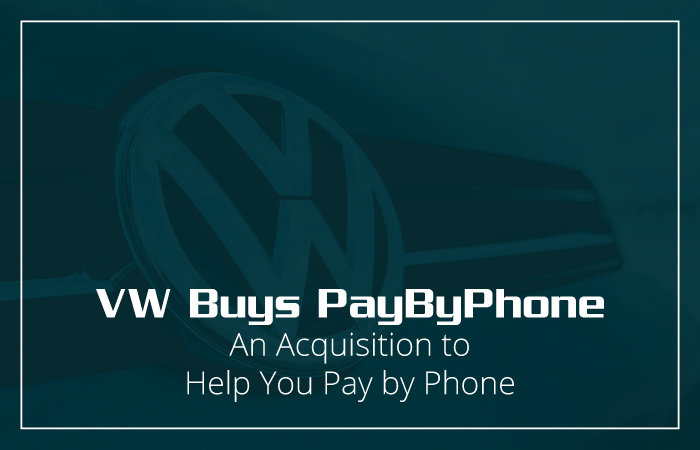 Although VW hasn’t revealed any news regarding the deal, but as far as PayByPhone’s worth is concerned, it has managed to produce about $300 millions in transaction per year. But, how the initiative is expected to be fruitful for the company’s growth? Since the company already said that it is planning to set a new business unit solely based on parking services, therefore this step might probably introduce VW to new markets and give its payment platform a solid boost.